DARING DOG Every story has a beginning. Some of Legend. Some of Legacy. This is the beginning of the Daring Dog saga! 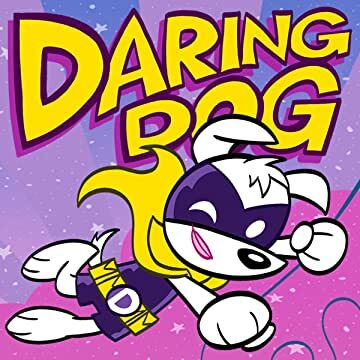 Daring Dog has been a hero throughout all the ages of time in the AW YEAH UNIVERSE! Meet Donohue and Daphne Dare, the Daring Dog Duo of the Modern Age. Daphne is on her way to become the NEW Daring Dog. But sometimes planning and training can take unexpected twists and turns. Does she have what it takes? I think so. Featuring all new characters and situations unique to DD's world! 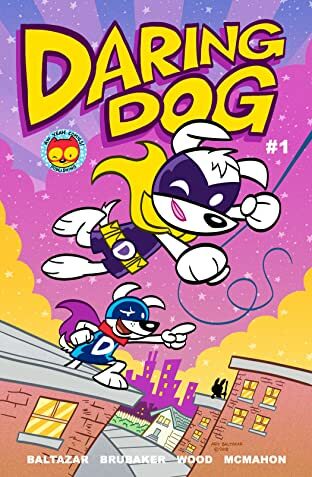 DARING DOG series celebrates a relaunch and new direction for the beloved characters spinning out of the pages of AW YEAH COMICS! Created by Art Baltazar and Marc Hammond. Based on the concept developed by Denver Brubaker and Kurt Wood! AW YEAH!